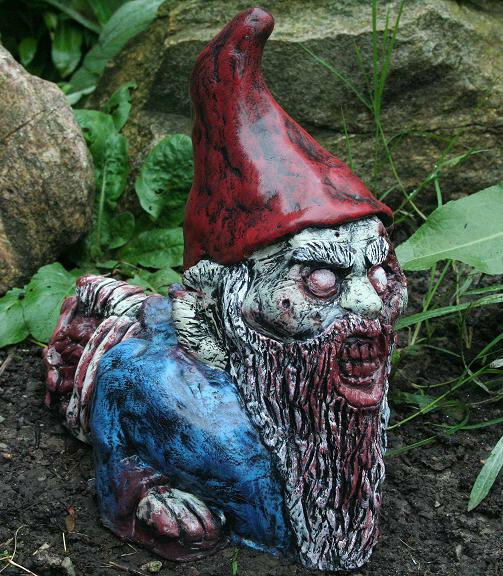 We make Zombie Gnomes and bring the dead back to life! It’s that time of year again the countdown has begun!! Come join us for a gruesome day of blood, guts and gore featuring undead entertainment, ghoulish vendors, thousands of zombies and the beautiful “Trash” from Return of the Living Dead AKA LINNEA QUIGLEY!! 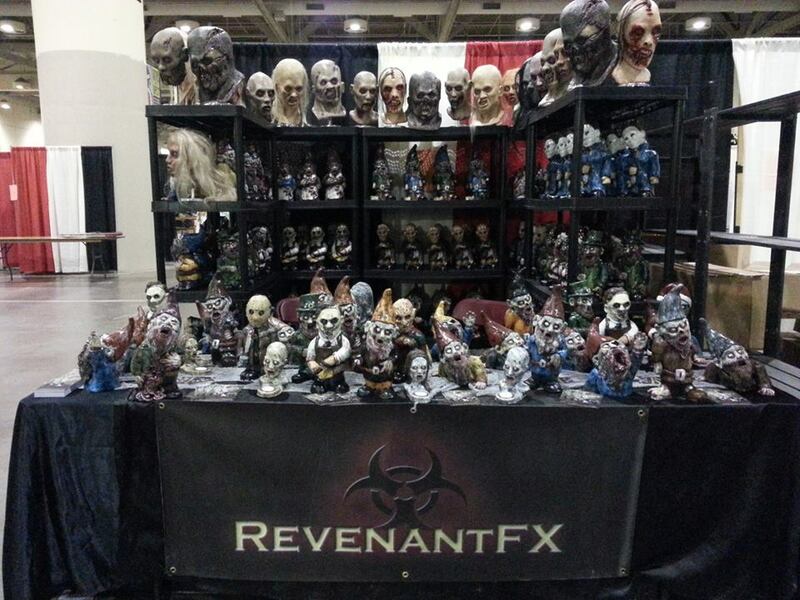 Also RevenantFX will be bringing along a few fresh new Zombie Gnomes ! 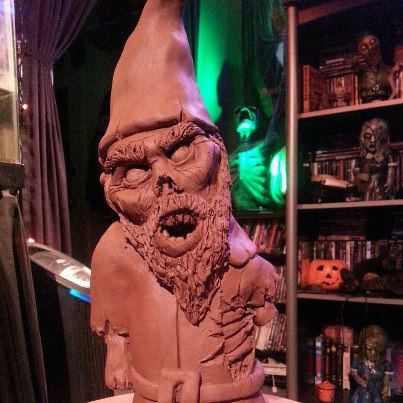 This ravenous Gnomish Cadaver is the brother of the late, great Seymour Guts. 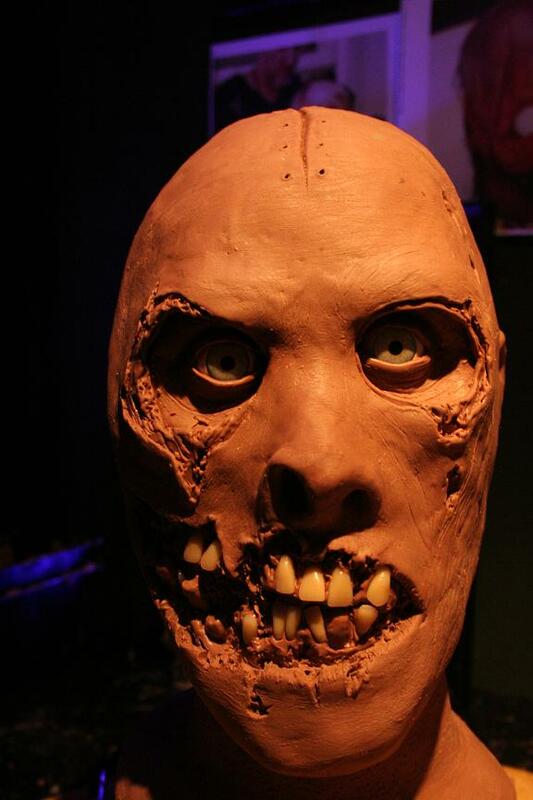 His thirst for Brains is only matched by his hunger for guts! Eatmore Guts will be sure to infect everything else in your garden/home one blood soaked, viscera covered entrail at a time! 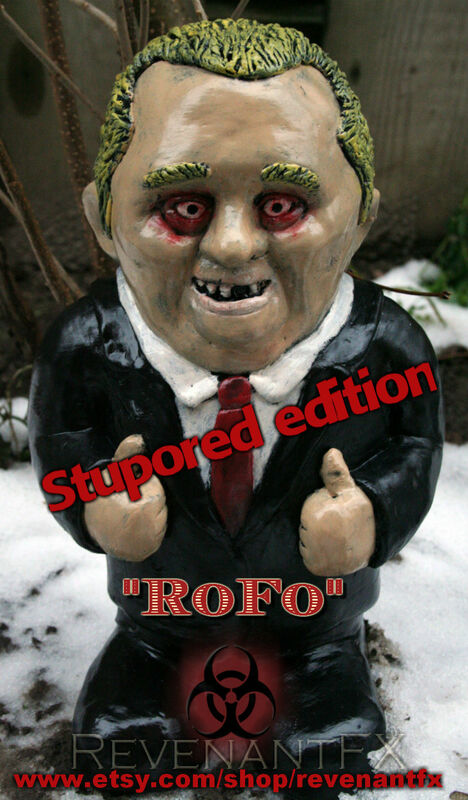 Bring Donny home to your garden today! Behold The Great Pumpkin Corpse! 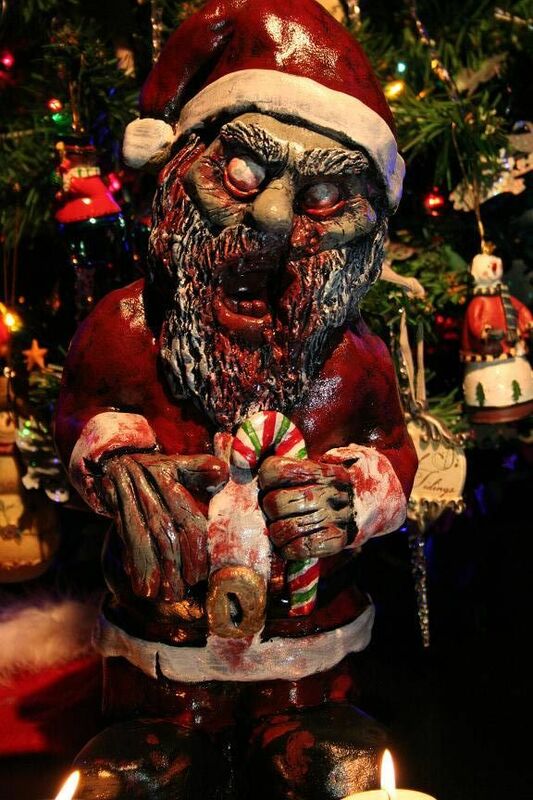 and a wonderful decoration for the most hallowed of days! 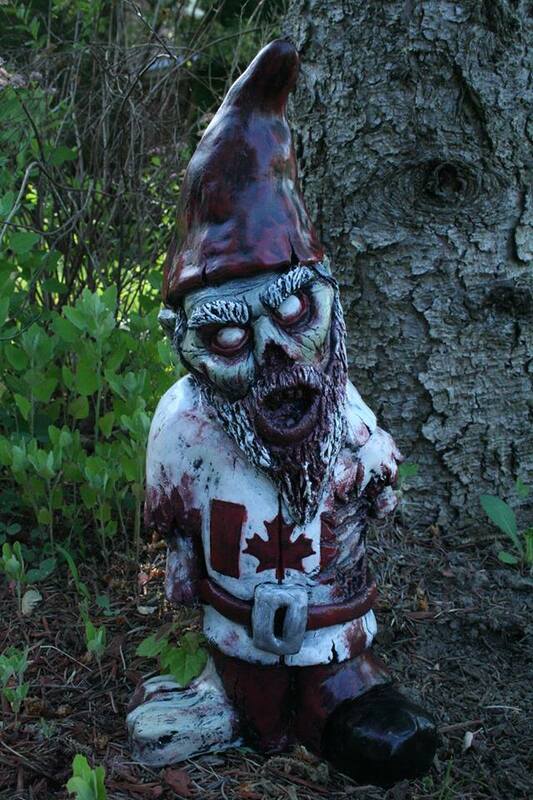 In the spirit of Canada day and pride week, we created a few special versions of our Ribor Mortis Zombie Gnomes to show our support! 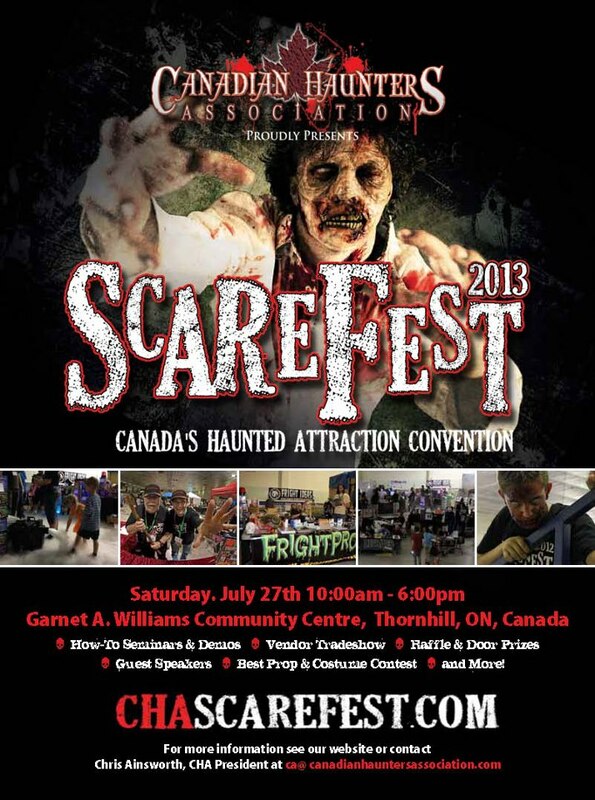 We are pleased to announce that we will be taking part in this years CHA Scarefest! So far it’s shaping up to be an awesome event with tons of cool vendors, speakers and a few workshops from what we hear.. The list of vendors thus far looks amazing and there’s probably more to come! For more info click the banner above or the picture below and check out the official website.. 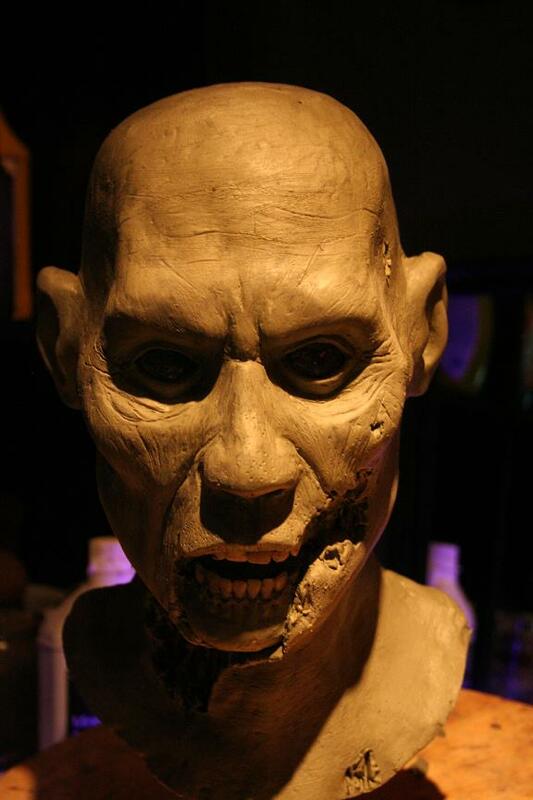 The warm weather is finally returning and the beginning of spring means the dawn of more undead for RevenantFX! 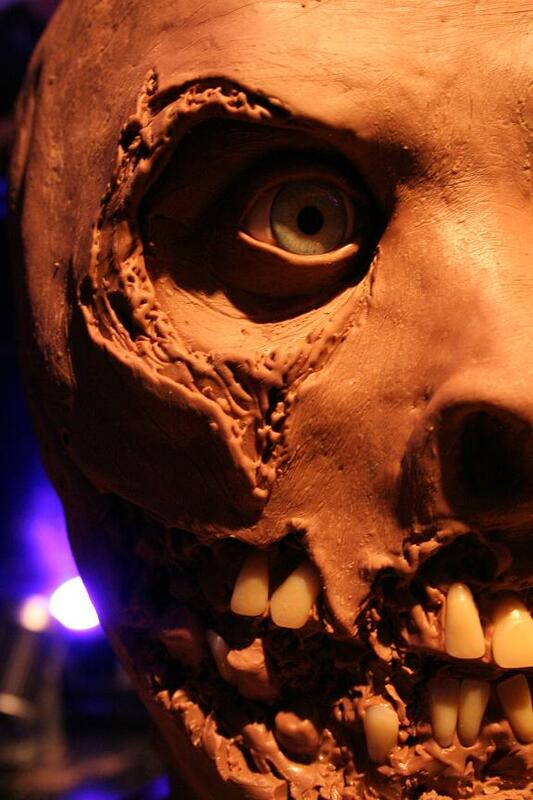 First off , we have some new latex masks that will be ready for this season. 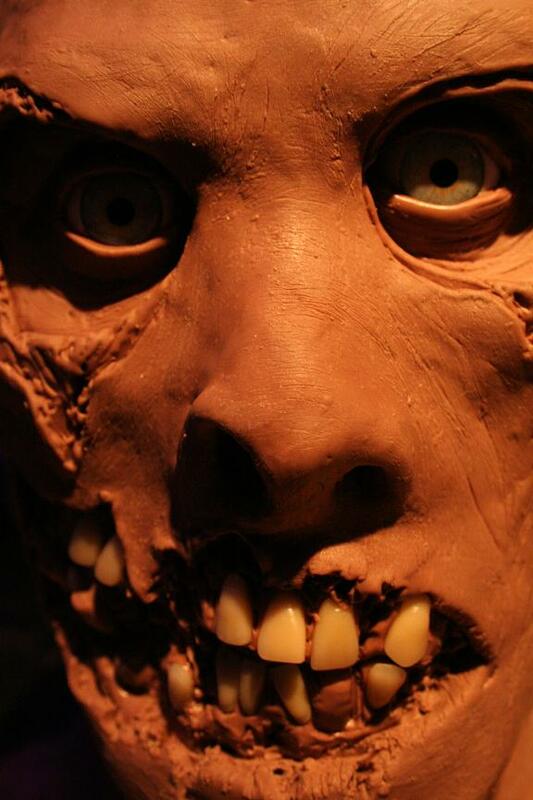 Here’s the first, a skin mask in the making. It will be available in a wearable version and a display version in the coming months. Enjoy! Next up we have a work in progress. 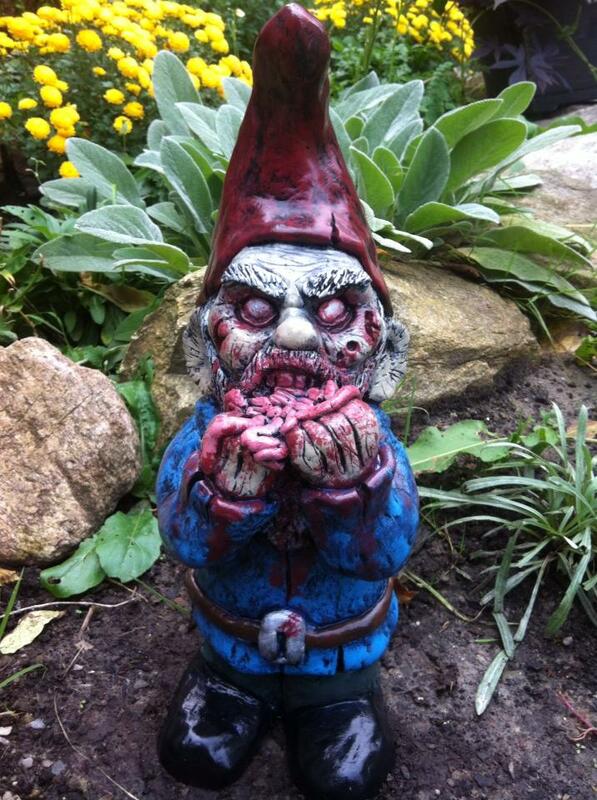 The newest member of our Garden Nightmares collection. From deep within the bizarre annals of American history comes a strange, possibly inbred killer. Best known for his love of Chainsaws. His penchant for taxidermy and his mask. 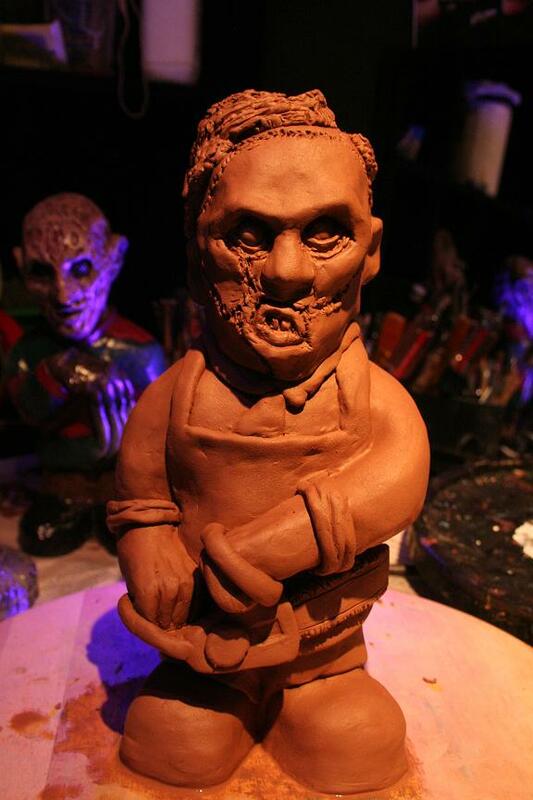 We proudly present The Texas Chainsaw Butcher. 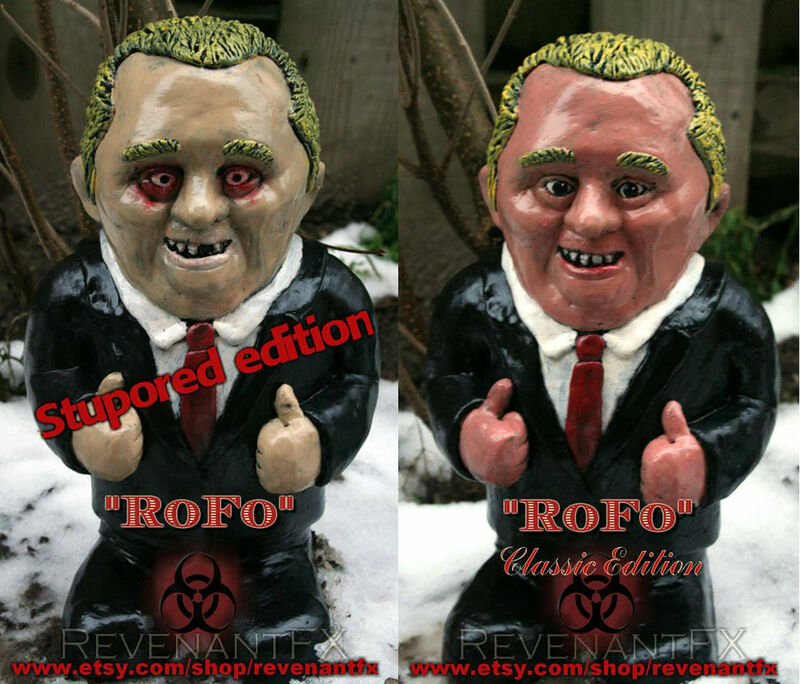 He’s 12″ tall and can’t wait to become your personal arborist. 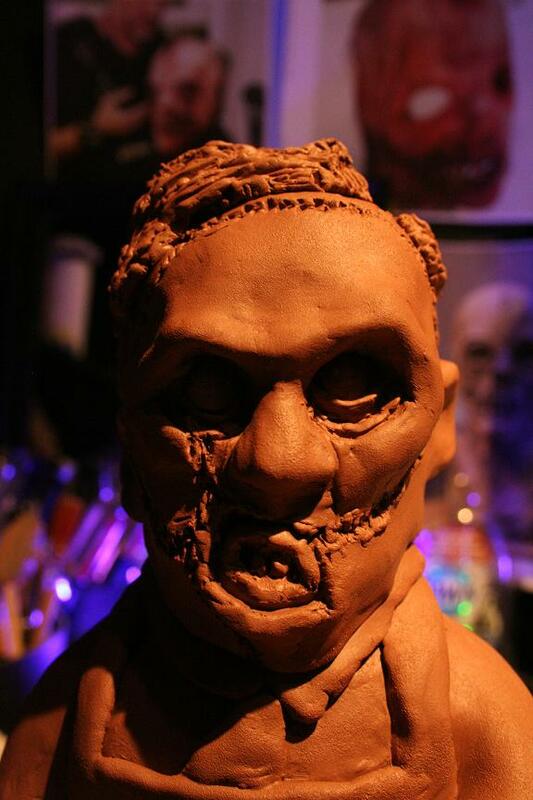 He’ll be available in the coming weeks via our Etsy shop here: https://www.etsy.com/people/Revenantfx The only question that remains is… Who in the Garden will Survive? And what will be left of them…? Last but most definitely not least, Riber Mortis! You may ask what is Riber Mortis? A recent cause of death thought to be linked with the current dine -in special at your local BBQ joint? 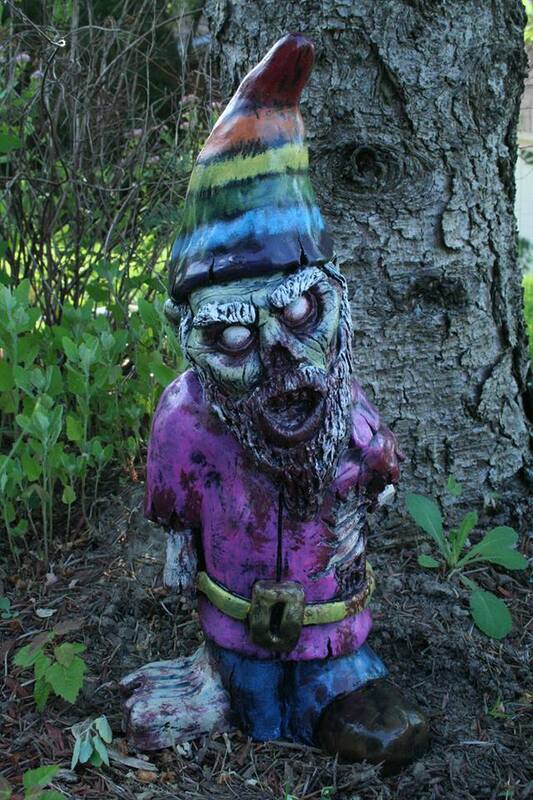 Riber Mortis is the name of RevenantFX‘s newest Zombie Gnome! This ravenous beast seems to actually be enjoying his life after death. 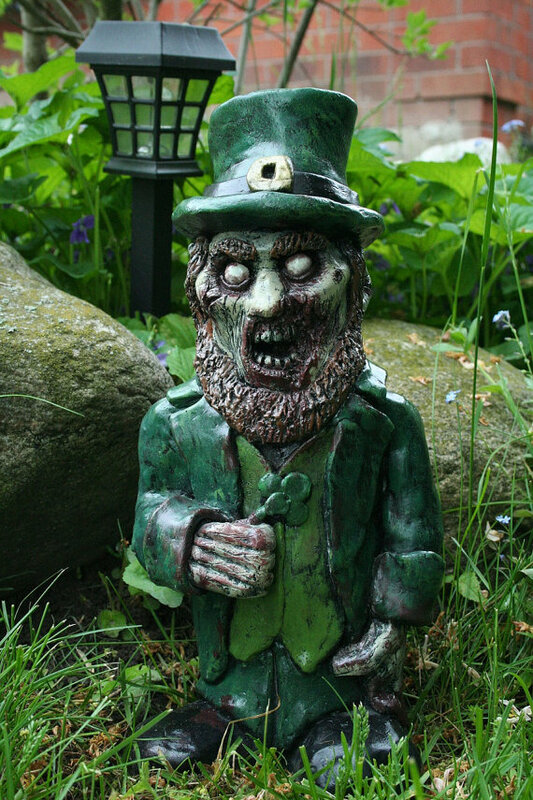 As his taste for brains far surpasses the lack of taste he brought to the lawn while in life. A true carnivore, it is thought that he may actually be the one responsible for eating his arm… (Gnome wings?) 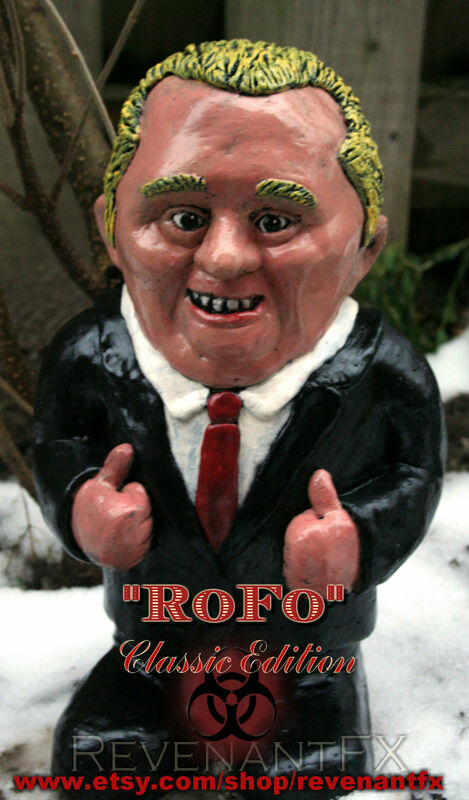 who knows?… What we do know, he stands 12” tall and is cast in solid gypsum cement. Handcasted, hand-painted and hand finished with a high gloss outdoor sealer. 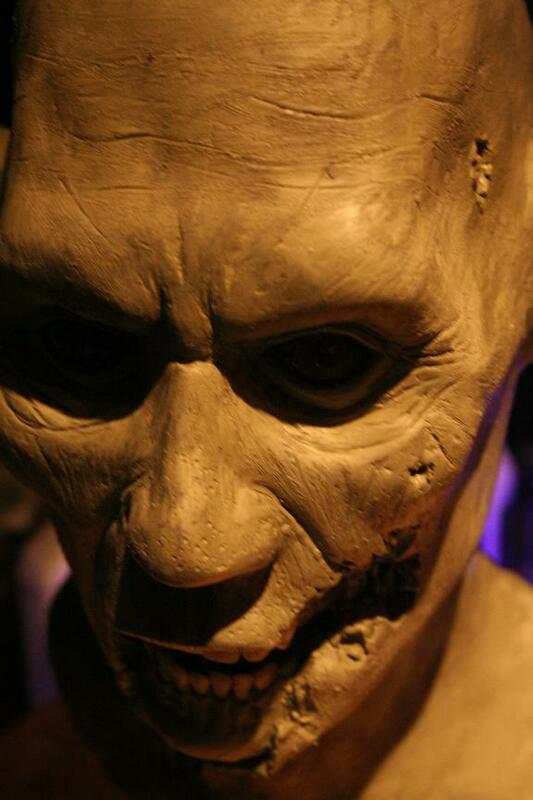 To all our many fans, friends, fiends and fellow zombie enthusiasts. 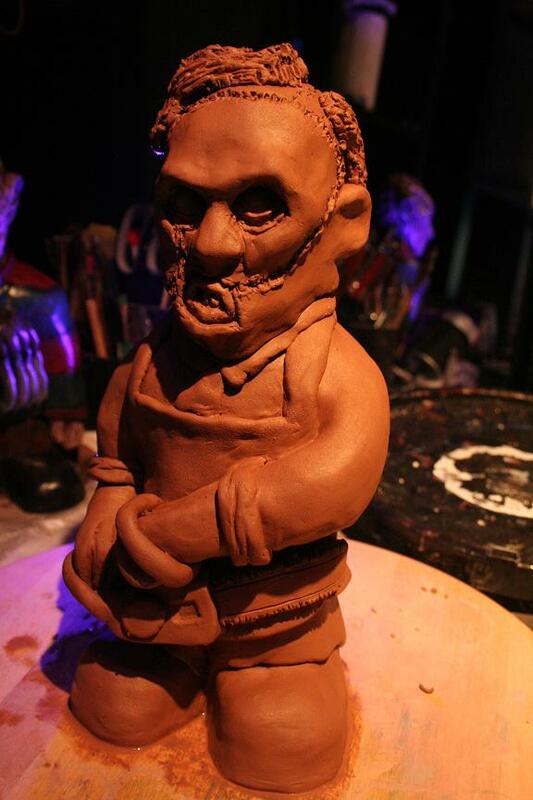 It was exactly 1 year ago today that we cast our first zombie gnome. In the past 12 months it has been such a pleasure to meet and deal with all of you fiendtastictly gruesome guys and ghouls. 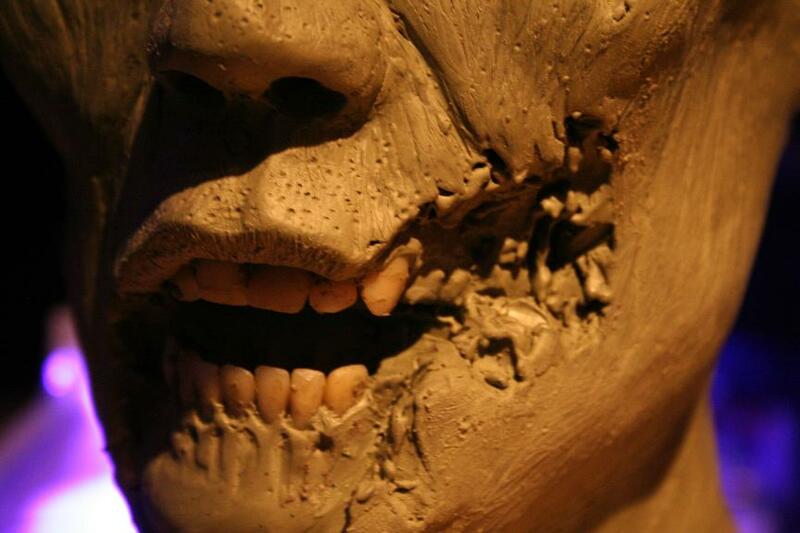 Thanks to all of your support we’ve spread the infection wider and farther than we ever could have expected. 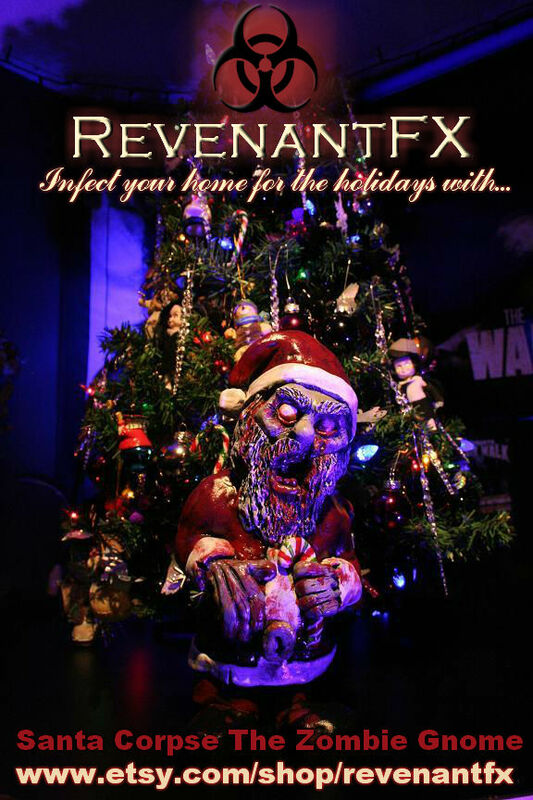 So from all of us here at RevenantFX we’d like to thank all of you so sooo much! And…. 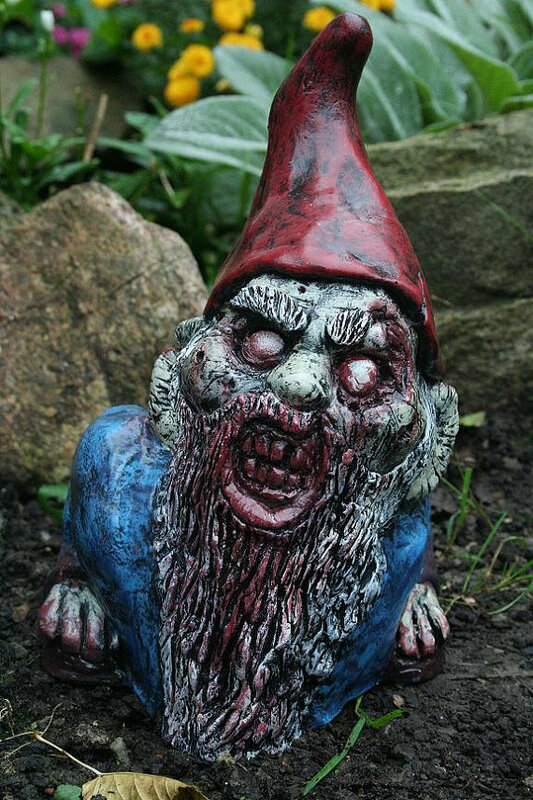 As a of a show of our thanks we’re going to start doing some contests/giveaways/chance to win free gnomes to help add some more undead to the community and further spread the infection! 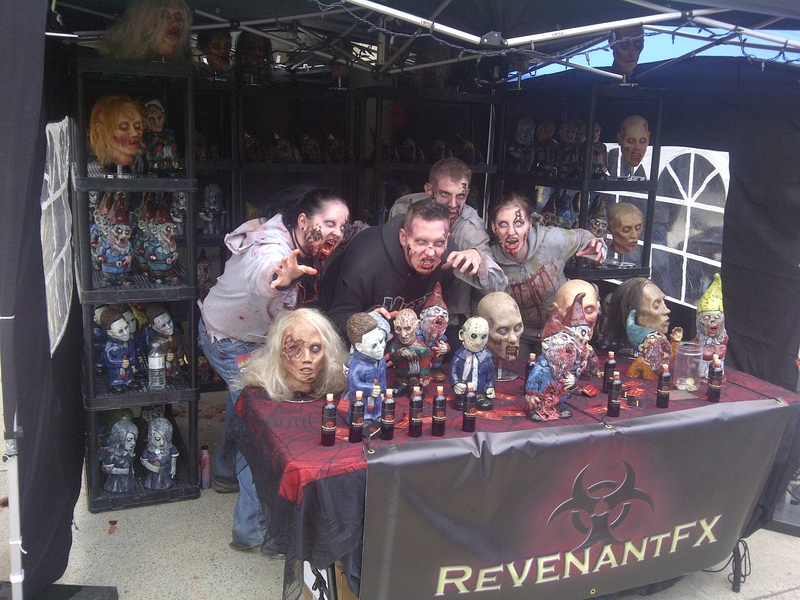 Watch out for the first one this week at http://www.facebook.com/revenantfx and again thank all of you!